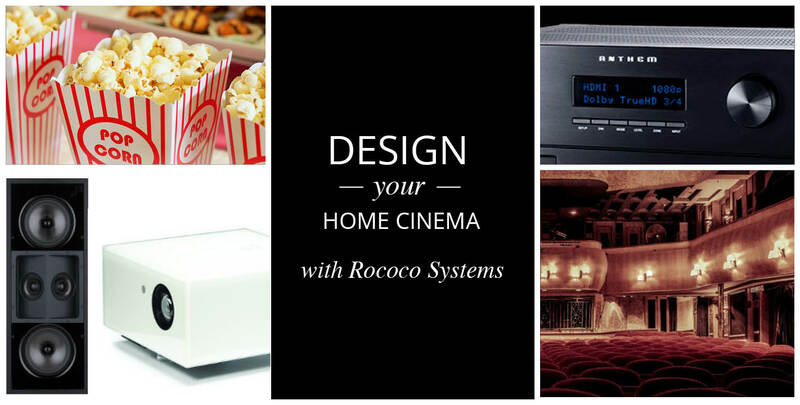 Make your digital dreams come true, with the help of Rococo Systems. Based in London and Essex we have over 30 years experience in creating bespoke home cinemas. Our team of experts are on hand to listen to your requirements and develop a plan within your budget. Your home cinema is not like any other room. It is a place to spend time with friends, stream the latest movies and kick back after a long week at work. We take pride in the installation of plush cinema seats, mood lighting, state of the art projectors and audio equipment. Our bespoke home cinema consultation service ensures that we can create the perfect space for you. Discrete cinemas give you the option to transform any room of the house, at the push of a button. A dedicated room is not a viable option for all customers, however this shouldn’t stop you from enjoying the home cinema experience. We can fit retractable screens and in-wall and in-ceiling speakers, allowing you to get the maximum use of your space, whilst still enjoying the luxuries of a home cinema. Your viewing experience doesn’t have to be contained to four walls. Rococo has the expert technology to install Marine treated screens, safe for outdoor use. We tailor the cinema to suit the size and landscape of your garden so you can take the entertainment outside. If you would like to enjoy the cinema experience in your own home, contact the experts at Rococo Systems for more information. We will aim to get back to you as soon as possible and you can also reach us by calling direct on 01277 890 888 (London) or 020 7454 1234 (Essex).